In our last exciting episode of Anime Inferno, I got a bit old and grumpy about the first Dragon Ball Z Movie Collection. 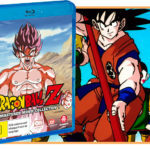 This second collection of Dragon Ball Z movies grabs everything from 1992 through to 1995, thereby closing out the remaining movies based on the Dragon Ball Z timeline that finished up in Japan in 1996. Movie 7, Super Android 13: Oh noes it’s another android! Dr Gero became a computer and sends his invincible Super Android 13 on a rampage. All hope seems lost until Goku saves that day with a Genki Dama. 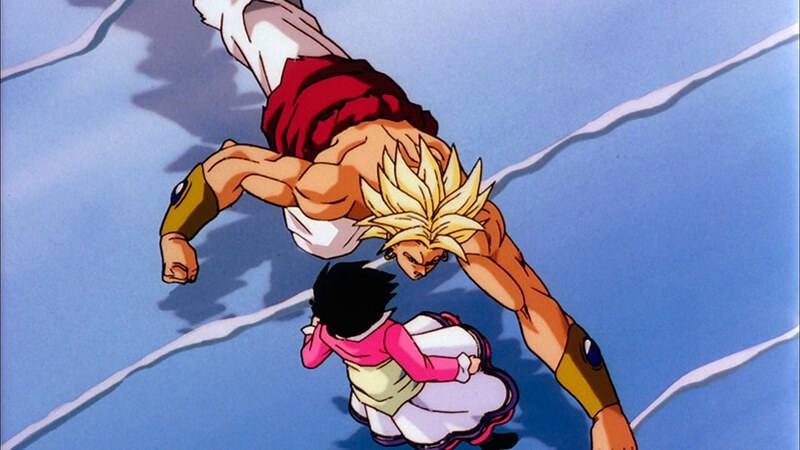 Movie 8, Broly the Legendard Super Saiyan: Broly was born at the same time as Goku but he’s powerful and naughty so his Dad puts a silly thing on his head like what happens to Monkey in the classic tale, Journey to the West (ha-haa! ), which all Australians affectionately refer to as Monkey Magic. In the present day everyone goes back to a far-away planet and are shocked when it’s a trap. All hope is lost until Vegeta wishes Goku happy thoughts so he can punch Broly so hard he explodes. 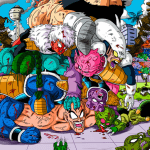 Movie 9, Bojack Unbound: It’s time for another Tenkaichi tournament and everyone is having fun and biffo until the set transforms into The Running Man and everyone gets beaten up by some greeny-blue villains. Gohan goes emo and grows a giant Super Saiyan Mullet then saves the day with a super kamehameha. Movie 10, Broly Second Coming: Shock, Broly didn’t die! It’s now set in the future where Videl, Trunks and Goten accidentally wake up Broly’s dormant evilness because reasons. All hope in the world is lost until Ghost Goku gives everyone a pep talk so they can deliver a magical kamehameha to smash Broly into the sun. Movie 11, Bio-Broly: A nerdy guy wants revenge on Mr Satan for losing to him when they were kids and decides to genetically engineer a warrior who can defeat him. Things go awry when they wake up the guy based on Broly’s DNA who naturally wants to mash everything. Things go to rubbish when some demon purple goop deforms him into Bio-Broly which makes him super-big, and then the demon purple goop threatens to take over the world before it is miraculously stopped by… the ocean and a great big kamehameha from Goten, Trunks and Kuririn (who finally wasn’t useless). Movie 12, Fusion Reborn: Some twit in hell forgets to service the machine that cleanses evil spirits which results in the dead coming back to life. This leaves it up to Goten, Trunks, Gohan and Videl to defeat zombie Hitler and his army of Nazis, while Goku is left to defeat the evil dude in the afterlife. All hope is lost until Goku and Vegeta perform fusion and save the universe at the very last possible moment. Movie 13, Wrath of the Dragon: A weird red alien-looking guy enlists the help of Gohan and Videl to open a mysterious box, and because they’re daft, they open it. Out pops a dude with an ocarina who plays a song to keep a demon thing from killing the universe. The demon eventually escapes, Trunks uses a sword to chop at its tail (hence his sword obsession when he gets older I guess…) and Goku saves the day by growing an epic 80s mullet in the hope of becoming as awesome as Iva Davies before saving the galaxy. Working through the above quick cuts reveals that the ridiculousness we saw in the first set is, if anything, even more amplified in Dragon Ball Z Movie Collection 2. However, the core difference here is that the wackiness and expanding roster of characters managed to reverse my lukewarm response to revisiting these movies, especially as we get to the tail end of things. Super Android 13 should have been banal, but some quirky slice of life elements and increasingly polished production values give it a bit of an edge before it devolves into raar-raar-powerlevels-raar-death. Broly 1 keeps things a little interesting by expanding some back story before the duel-fest begins, and Bojack gets points for revisiting the Tenkaichi Tournament motif and giving screen time to Mr Satan, who I personally find delightfully entertaining. But it’s in the final run of this set that I found myself having a lot of fun with Dragon Ball Z Movie Collection 2. I don’t really know what the general consensus is amongst the Dragon Ball Z community in 2017, but I have a genuine soft spot for the arcs that followed the Cell Games. 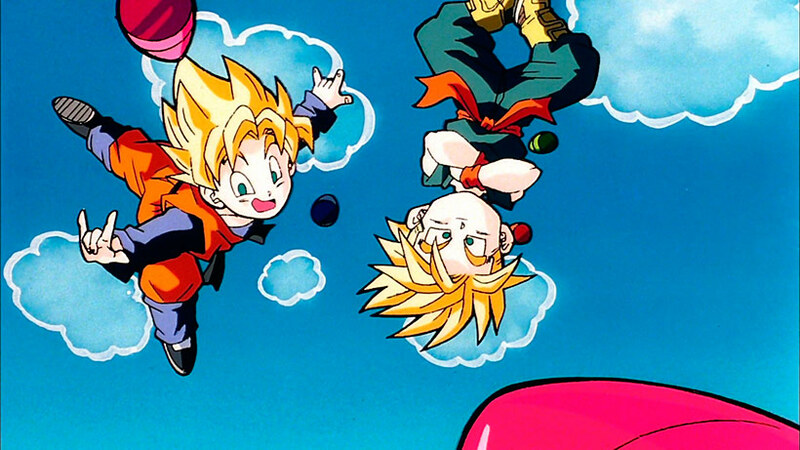 Teen Gohan and Videl are good fun (especially playing with Videl’s view as an outsider and as someone significantly stronger than her Dad), and I think Goten and Trunks are awesome characters to play around with on the screen. The combination of improved production values, wholesale embrace of the macabre with undead dictators turned into a Looney Tunes-esque series of battles, Goku and Vegeta striking an awesome fail at Fusion, bridging Trunks’ obsession with swords through the use of the final movie’s protagonist (even though the fantasy/magical nature does seem a little off if we’re threatening to be objective) – these are elements that stray far from what we saw in the first collection of films. 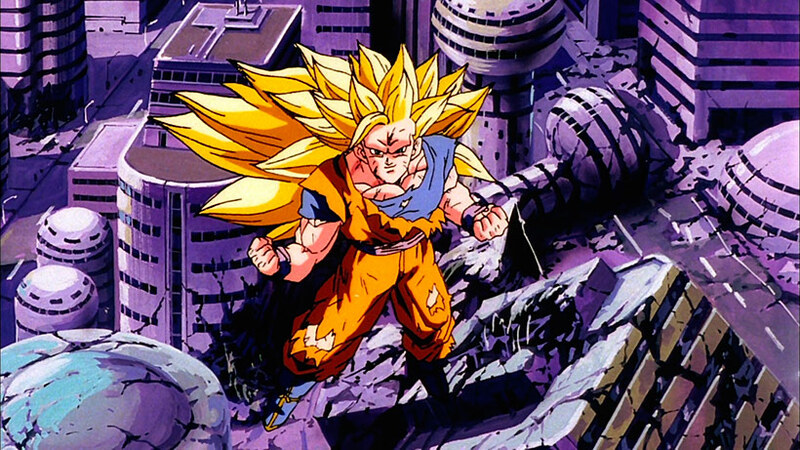 In my mind though, that’s part of the strength with Dragon Ball Z Movie Collection 2 – your mileage will vary of course, but the result of these often odd and arguably disparate elements managed to keep things fresh and break free of some of the monotony in the earlier movies. I have to say I’m surprisingly impressed to be honest, and the ever-increasing production values added some extra texture to the proceedings. 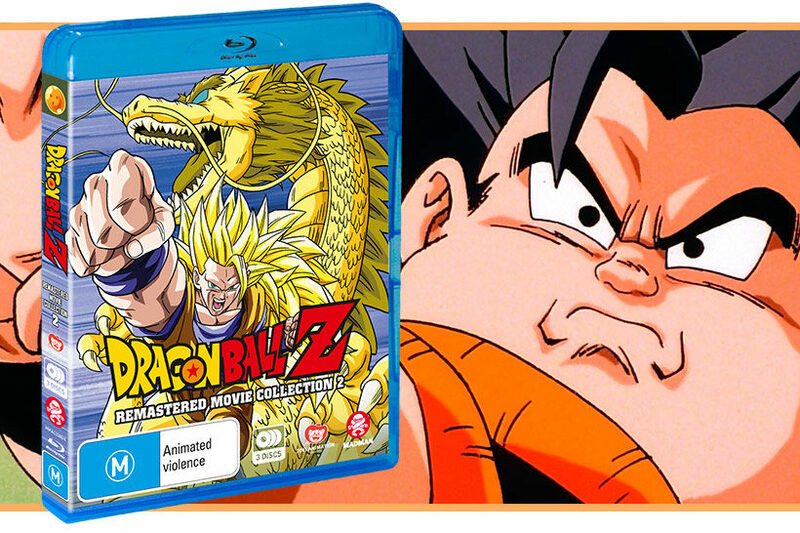 Moving on from the content to the package, things are very similar with Dragon Ball Z Movie Collection 2. The movies are spread over multiple discs in the Blu-Ray collection and the restoration looks good, if at times a little heavy-handed with the DNR, compared to how previous releases have looked. 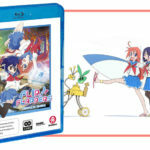 My usual weeb gripe holds true once again in the collection’s use of the localised titles and credits though – while I don’t have an issue slicing this into the movie if you’re watching them in English, it would have been great if Funimation maintained the Japanese titles and credits for these movies if you opt for the original language release. Dragon Ball Z Movie Collection 2 manages to surprise and entertain when taken on the whole – there’s still a smattering of the usual formula in this set, but the combination of improved animation work, expanded roster of protagonists, some entertainingly inane story hooks and a genuine sense of fun definitely pushes this above the last set in terms of how much I enjoyed it. 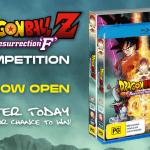 Great fun for Dragon Ball Z fans, and terrific value considering how much HD goodness is packed therein.